Hello everyone, so for Christmas I got the lipstick Mac Sunny Seoul, I asked for this shade because I wanted something fresh and something that could be worn both winter and summer. As I was sorting through my lipsticks I noticed that this lipstick was almost the exact same as a Rimmel Kate Moss lipstick I already owned. Which obviously got me thinking about a blog post, so this is the cheap alternative to Mac Sunny Seoul. The Rimmel Kate Moss is in number 16, and is £5.49 opposed to Mac Sunny Seoul at £15.50. 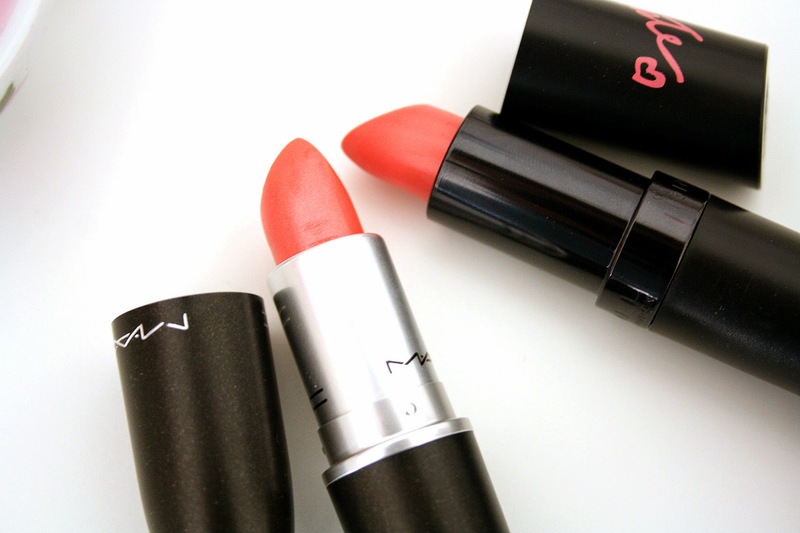 The finishes are different, the Mac one being a cremesheen and the Rimmel one not. Personally I think that the Rimmel lipstick is just as good quality as the Mac one. If you’re looking for a corally pink shade lipstick at a lower price I’d recommend the Rimmel Kate Moss lipstick. Its just the perfect dupe! 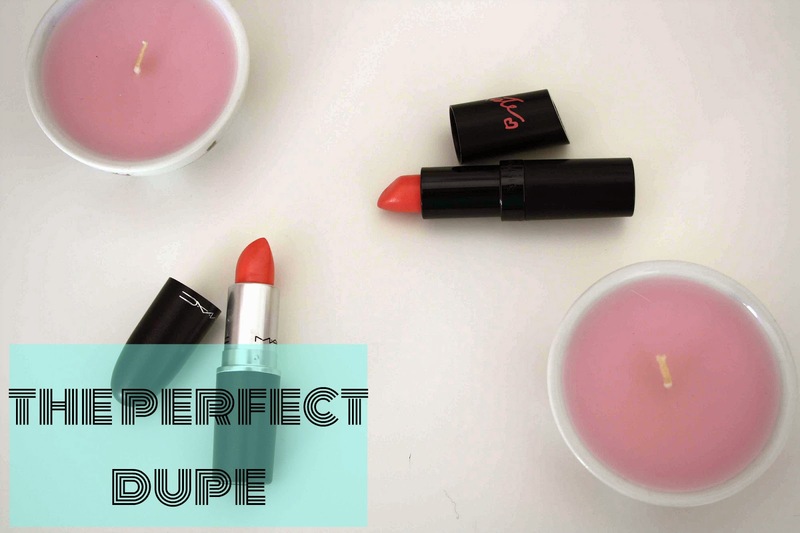 Have you got a favourite dupe lipstick?